From time to time, stories are crafted so cleverly, that they leave an indelible imprint upon the mind of a curious child. There is nothing fantastical or overly imaginative about this book. Yet the author weaves a masterful tale replete with highly descriptive language and page-turning suspense. 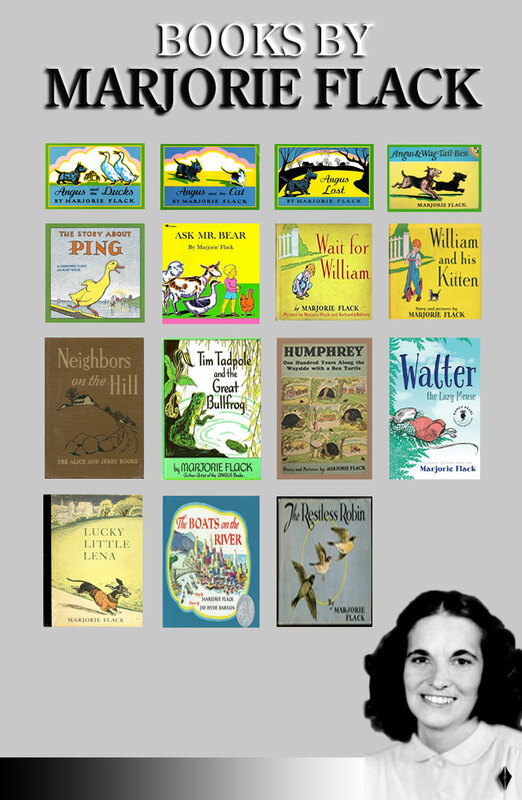 The Story about Ping has remained a firm favourite of children since it was first published in 1933. As a classic, it should be a part of any serious children’s library. ‘The Story about Ping’ is set on the Yangtze River in China. The author paints a beautiful, yet simple scene that revolves around the bustling lifestyle of the most important (and longest) river in China. 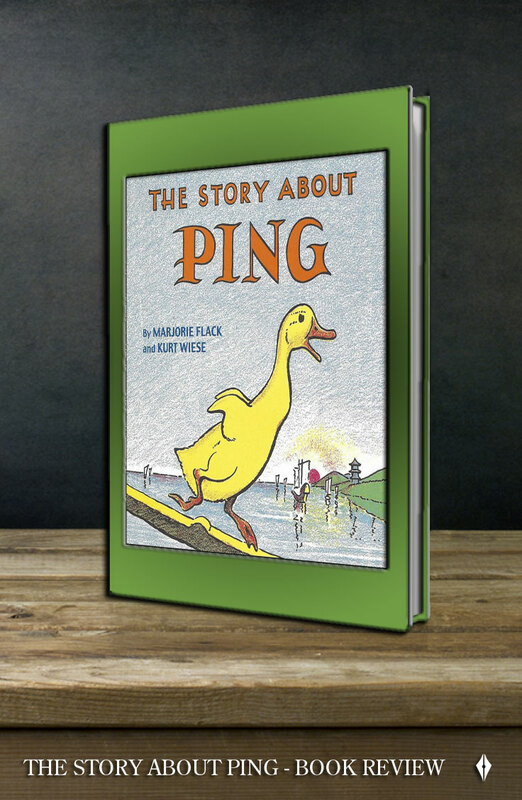 The premise of this story revolves around a ‘beautiful, young’ duck by the name of Ping. Ping lives on a boat with a large extended family and each morning he joins them on the shore of the Yangtze for a day of pleasurable hunting and eating. However, as the sun sets in the evening, the ducks scurry back to their floating home upon hearing the call of the master. Unfortunately, the last to return receives a spank on the back. With our opening scene set, our adventure unfolds almost immediately. One evening, Ping isn’t prepared for the march back to the boat and rather than accept the spank, fear leads him to hide instead. What follows, is an adventure both frightful and intriguing – as much for our small yellow hero, as it is for those of us who follow his journey. Although the tale only very gently leads us into the shallow waters of imagination, there are certainly moments of intrigue. Very early on in the story, we are introduced to concepts that would appear quite strange for the uninitiated reader. Although the tale only very gently leads us into the shallow waters of imagination, there are certainly moments of intrigue. This is apparent when we are almost immediately introduced to a strange boat with ‘wise eyes’. The curiosity here centres on the necessity for such a description. How the ability to see, or indeed to see wisely, is useful to the boat or the storyline remains somewhat of a mystery. However, we may conclude one of two possibilities. Firstly, the eyes serve no magical properties, but are instead painted onto the stern of the boat in order to create a distinguishing mark among the countless boats that share the busy river system. Secondly, the eyes assign a personality to the boat that is akin to a Chinese Sage. If we assume the second possibility, we may conclude that our protagonist’s crisis and eventual resolution are in some way cosmically orchestrated or improvised by the wise boat. Another curiosity that rests beneath the surface of our story is centred on the very purpose of Ping’s life. Each morning, Ping and his extended family leave the boat in order to hunt for food. Every evening, they are required to once again get aboard. This repetitive existence is not explained and can appear quite absurd. We may imagine that the family of ducks form part of the trade for the ‘Master of the boat’, yet this isn’t explicitly stated. Besides, there is no indication that any of the forty-two ducks have missing family members. Perhaps the ducks are being used for their eggs or may instead be the master’s pets – drawing parallels with the western stereotype of a cat-lady. Either way, readers are simply left to accept this curiosity and move right along. Our final curiosity in the opening narrative is perhaps our most contentious. This of course revolves around the idea of spanking. Whether it conjures images of being cruel to animals or the subtle parallel that spanking ‘young ones’ is a legitimate form of behavioural adjustment, many in today’s society may take exception to this illustration. Yet it is this mild confrontation in the mind of the reader that is necessary to initiate the books key message. If we simply consider the action of spanking as a metaphor for pain, we will understand that Ping’s decision is in fact an ill-considered reaction to pain avoidance. It is with this understanding that the apprehensive reader may move past the curious foundation to our story and plunge right in to the dilemma our feathery young hero now finds himself. With this intriguing introduction, our opening scene is set. As readers, we are left with no time to dwell on the strange world we have encountered, as our young, yellow hero is very quickly thrown into his character-building adventure. As we join Ping for one of his routine frolics of riverside hunting, we are suddenly witnesses to a growing despair. Ping isn’t prepared for the master’s call, and now finds himself confronting the inevitability of a spank. Fear of this unknown experience causes Ping to hide instead. As he watches his family sail away, he is confronted with a new reality – an unknown experience that doesn’t carry with it the inevitability of pain or humiliation. Whether this turns out to be the right or wrong decision is the dilemma that compels us to read on. Indeed, the pain that must be endured by the last duck to cross the bridge carries with it a reminder that dallying will not be tolerated by the master. He requires all ducks to return immediately, and has put in place a measure to ensure that this occurs. This of course may serve the master’s interest as much as it serves the badling. For the master, he maintains effective control over his ducks, and for the badling, it provides them with the longest period of time to enjoy their freedom. 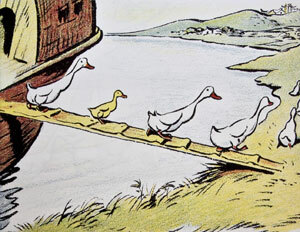 After all, it is certainly not beyond imagination to envision how early the master would need to begin herding the ducks if there was no incentive to reboard the small boat. Yet we can certainly understand the fear from the young duck’s perspective. Unfortunately, rather than endure the pain, Ping makes the split-second decision to avoid it. His actions may indeed find parallels in every corner of life. What child wouldn’t try to avoid: inoculations; taking sour tasting medicine; having wounds disinfected; packing away toys; or eating vegetables if they were offered half the chance? However as every well-meaning parent knows, such an impulsive response to pain will not necessarily lead them to more favourable circumstances. Indeed for Ping, his ill-considered reaction means that he is now all alone in an unfamiliar world. In Pings case, his decision is about to be tested. For the remaining pages of our book, Ping encounters the busy life of the Yangtze River. There are strange moments that rest delicately on the balance of cruelty and necessity – much like the master’s strategy for spanking the last duck to cross the bridge. For instance, at one point Ping comes across some ‘dark fishing birds’ with rings around their necks. It is explained to us that these rings prevent the birds from swallowing any fish that they catch. Instead, the master of this venture has utilised this strategy to catch fish for himself, and provides incentive for the birds to return each fish to him, by rewarding them with small pieces that they are able to swallow. These absurd and perhaps slightly unsettling situations are no accident. Although, in today’s world many readers would filter these events through the lenses of animal cruelty, unnecessary physical punishment, coercion or even perhaps racism, readers in the early 20th century would have found many of the scenes as equally alarming – although perhaps not for the same reasons. It must be remembered that the culmination of the Chinese Communist Revolution did not occur until 1949. Thus, China remained an intriguing nation for most of the western world at the time of the book’s publication. Questions of animal cruelty or the legitimacy of spanking would not have been raised, yet the methods utilised by these masters, and indeed the day-to-day events on the Yangtze River would have still been quite fascinating. This is in fact the strength of the story. We enter a world quite different to our own and the author takes us on an adventure that leaps from one strange event to the next. As readers, we suddenly find ourselves having the same reactions to these unfamiliar events, as our young protagonist. Ping has until this point in time been sheltered from these absurd and in some ways frightening circumstances. He has no choice but to observe, and even upon observing does not fully grasp what is occurring. For children especially, these foreign experiences will offer a strange attraction that will simultaneously draw them into the story as it broadens their mind. In the end, despite such an epic adventure for a small duck, parents can rest assured that the book does indeed end on a happy note. Adventures are had. Lessons are learned. Yet by the conclusion of the story, we have a wiser and happier duck. 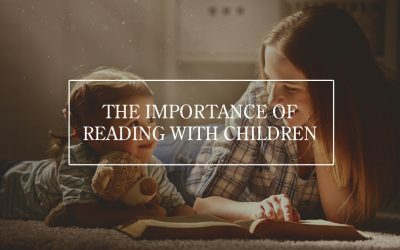 This of course means that most children will also feel good about the story – something particularly important if the book is read just before bedtime. In addition to this, the overall narrative remains quite gentle, and for the most part, children will simply get into the adventure without feeling the need to interrogate the storyline any further. However, for parents who do wish to bring up questions that relate to cultural expectations or issues of morality, the book can certainly provide a few platforms to do so. 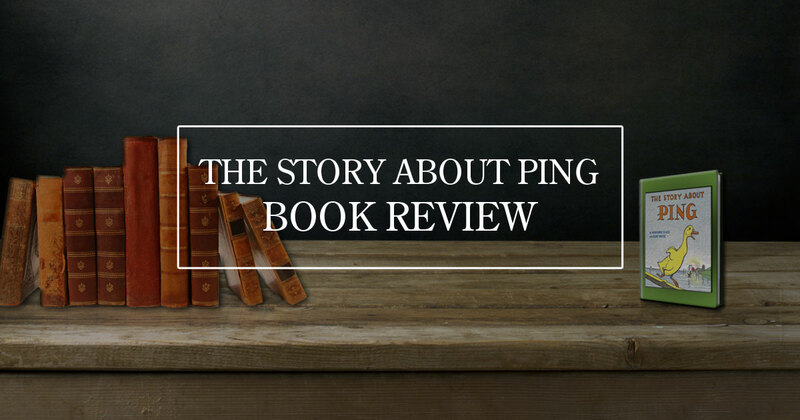 At the time of this review, ‘The Story about Ping’ was ranked #5,950 in Amazon’s books and #163 in children’s book classics. There appears to be a common thread that weaves its way throughout most reviews on many of the common review websites. This thread centres on the idea of whether spanking is an appropriate inclusion for a children’s book. Interestingly it has divided reviewers into two broad camps. In the first camp we have adults who enjoyed the book as a child or alternatively, adults who have discovered (in some cases, to their bewilderment) their own child’s fascination with ‘The story about Ping’. These adults will more often than not defend the idea of spanking from a number of perspectives. In general, these reviews are positive and are filled with five stars. In the second camp, we have adults who object strongly to spanking (or perhaps animal cruelty), and find it difficult to endorse a book – regardless of its intended purpose within the story – that would include such an action. It seems that reviewers in this camp (depending on the strength of their objection) will usually give the book anywhere from one to three stars. Regardless of the merits each camp might have in endorsing or objecting to this aspect of the book, an honest review must take into account far more than one point of contention for the modern day reader. At TaleBlade Press, we consider each story under an established set of evaluation guidelines. This allows us to compare books utilising standard measurements. It is under these guidelines, that we can confidently say that ‘The Story of Ping’, is a well-crafted and otherwise excellent book for children, particularly considering the time in which it was written. It is certainly a shame that objections to a single aspect to this book has perhaps unfairly dragged down the ratings for this book in other review websites. At the time of this review, ‘The Story about Ping’ was ranked #5,950 in Amazon’s books and #163 in children’s book classics. It is included within the top 100 children’s books lists on the National Education Association and Children’s Books Guide websites. The Story about Ping is a beautifully written and illustrated book that deserves a place in every child’s library. 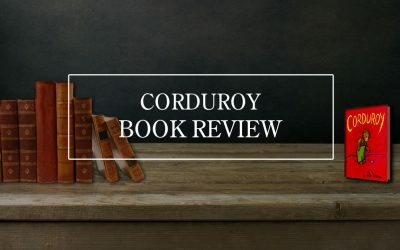 It is rare when a book can not only hold the fascination of someone reading or hearing it for the umpteenth time, but when details of a book can project itself into the everyday life of a family. When families become interested in planting garden’s after reading ‘The Secret Garden’ by Frances Hodgson Burnett; or forever hold a fascination with turkish delight after reading ‘The Lion, the Witch and the Wardrobe’ by C.S. Lewis; not to mention the countless authors that owe their fascination of narratives and wordplay to a specific book in their formative years – then we can be sure that the book has transcended its cursory purpose of entertainment and entered the realm of being a true literary legend. It is interesting to hear how, in ‘The Story about Ping’, the simple lesson of being prompt has transformed families. One example of this is a mother who incorporated the incentive not to dawdle into every aspect of her children’s lives. Whether it was trying to entice her children to leave a playground, get out of the pool, or get into the car before school – the simple phrase, ‘last one is Ping’, would see immediate compliance. For the obstinate or unlucky, a quick spank was all that was needed to reinforce the game. Much like the ‘Master of the Boat’, the mother quickly observed that unless the game was backed up by real consequences, the incentive would become useless. 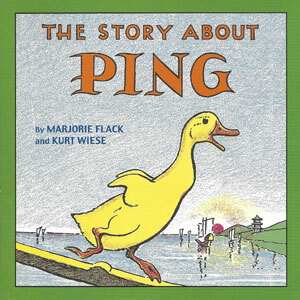 ‘The Story about Ping’ is ultimately a legendary book for all of the reasons mentioned. It is a beautifully illustrated adventure with subtle lessons about pain avoidance and dawdling. Yet it has the power to move beyond its simple narrative and embed itself firmly into the real world of children and parents alike. For this reason, it is highly recommended. Aramus has established himself as a valuable member of the TaleBlade team. He has not only provided internal advice but has penned some insightful articles. 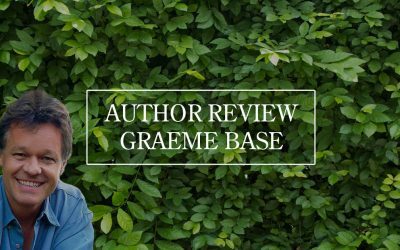 He has a unique ability to explain literary and publishing concepts articulately and with a fine attention to detail.